For any business, even if you are not primarily focused on your online presence, online reviews matter. When people search for your business (or your target keywords, if you have an SEO campaign), your average Google+ rating and the number of reviews you have might show up on the first page of results. These people are going to make a judgement to compare you with your competitors, and if you have bad feedback that’s on display publicly, it’s likely to hurt your business. 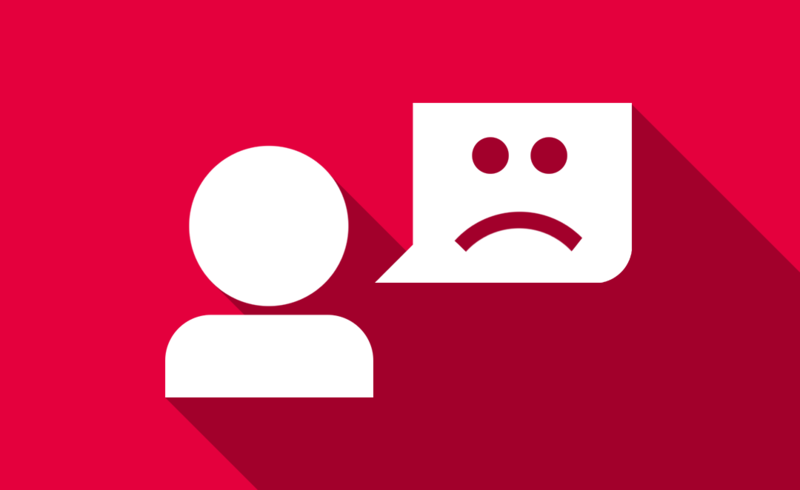 Getting bad feedback online can be frustrating. Sometimes it will be as a result of a genuine problem that occurred with one of your real customers. It’s very hard to guarantee perfect service every time, and mistakes happen, so from time to time even the best businesses might have dissatisfied clients. If someone chooses to be vocal about their disappointment on your public social media pages such as Google+ or Facebook, or on review sites like Yell or Review Centre, you will want to keep a lid on it if you can. However, it’s not about trying to censor your customers’ voices. In fact, most websites simply won’t let you do that. Instead, it’s important to get in touch with that person, reaching out to them and finding a solution that works for both parties. Whether this is public or private will depend on the context. Ideally, you should ensure people know the best way to get in touch with you directly so they don’t have to resort to public reviews in the first place! What about unfair reviews that you don’t think are real? Sometimes customers might let anger get the better of them and exaggerate their stories, or worse still, deliberately lie to make your business look bad. In these cases the best course of action is also to get in touch with them, although this may prove difficult. Be wary of taking more serious actions, though, as they could have consequences. Depending on the situation there are several things you can try, but it’s better to get professional advice before jumping into an argument online. After all, the reputation of your business is at stake, and the way you respond to criticism publicly says a lot about you to other potential customers. At 123 Ranking we offer a more detailed help guide specifically for helping you deal with negative online reviews. Our Rank 3 package is our most comprehensive SEO plan yet, and it includes this guide along with a range of others free of charge. To find out more about how we can help, simple get in touch with us now.